♦ Thursday the 13th of October @ 6pm. You will experience a “melange” of Art & Chamber Music. ♦ We will be performing, with members of the MISO, the Beethoven String Quartet Op 132. ♦ The concert will be paired with the discovery of Enrique Martinez Celaya’s “Schneebett,” a two-room installation inspired by Beethoven’s convalescence and death in Vienna, Austria, in 1827, in the Anchor Gallery section of its Permanent Collection installation. 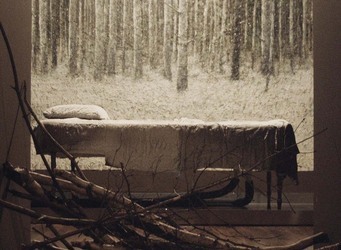 The title, Schneebett (“Snow-bed”), is from a poem by Holocaust survivor Paul Celan, a meditation on death. In one room is a refrigerated bronze bed, its surface covered in a thick layer of frost. Behind it is a large tar-and-feather painting of a snowy wood. The entry to the room is blocked by a pile of logs and branches. On the other side of the blocked doorway is an antechamber, equipped with a solitary chair from which a viewer can peer into the inaccessible “bedroom.” Nearby is an electric compressor, whose power keeps the bed refrigerated. Schneebett was first created for the Berliner Philharmonie in 2004, where it accompanied a program of Beethoven works. The Concerto No. 3 for violin and orchestra op. 83, and its references to older styles. To be understood, every composer writes music using the same language while featuring his or her own personal pronunciation. This variation in notation provides contemporary musicians the ability to distinguish the unique qualities of many composers and their time periods. Over time, new ways of saying the same ideas were introduced to the musical world that would usually take about a century to evolve and then stabilize. In present times, we find composers emerging at a rapid pace as they generate fresh ideas for new extended techniques that push performers and their instruments to new limits. Unlike many of his contemporaries, Nicolas Bacri’s works beautifully showcase the lyrical melodies that have been the tradition of violin expression for centuries. According to Bacri, his music is a form of communication and communion, always giving priority to the balance between his instinct as a composer and the discipline he has developed by working at the piano. When composing his third violin concerto dedicated to Mirjam Tschoop, Bacri challenged himself to employ non-traditional forms. His concerto is full of references to older styles like minuets and fugues mixed with 20th-century style. In combining these two styles, Bacri contributes to the evolution of the concerto by constructing a piece that is both polyphonic and concerto-like in which the soloist can still shine. The Wellness of a Musician, and the Importance of an Occupational Health Program in Music Schools. Most musicians have, at some point in their careers, suffered some sort of discomfort, pain, or actual injury, as a result of playing their instrument. While some forms of discomfort may not be serious, and may demand nothing more than a little rest, other discomfort could be the first signs of a serious problem. The issue is that most musicians do not know when they are suffering from a serious problem, and even if they do, they do not know what to do about it. The result can often be career impeding or ending injuries. To better understand these injuries we must first delve into their causes. Among the various causes are poor technical training, performance anxiety, over-practicing, and environmental concerns such as cold rooms and bad chairs. The most common injuries that musicians suffer are Tendonitis, Over-use Syndrome, and various shoulder and neck pains. If musicians are to protect themselves from such injuries they must be provided ample education, early in their careers, about these various risks. They must learn how to communicate their concerns to a doctor, and how to implement the necessary life-style changes that will promote better musical health. Unfortunately, musicians, even at the collegiate level, are rarely provided the kind of medical attention on which athletes have come to rely. A student athlete can have access to chiropractic care, acupuncture, massage therapy, nutrition counselling, sports psychology, and other medical consultants. It is time for musicians to pursue a similar quality of medical care for themselves. In doing so schools of music will come one step closer to achieving parity between the athletic and music departments. Ideally, all schools of music should teach elements of occupational health such as the Alexander Technique and the Feldenkrais Method, as well as methods for coping with performance anxiety and general stress. HOW DO INJURIES OCCUR WHILE PERFORMING ON THE VIOLIN? 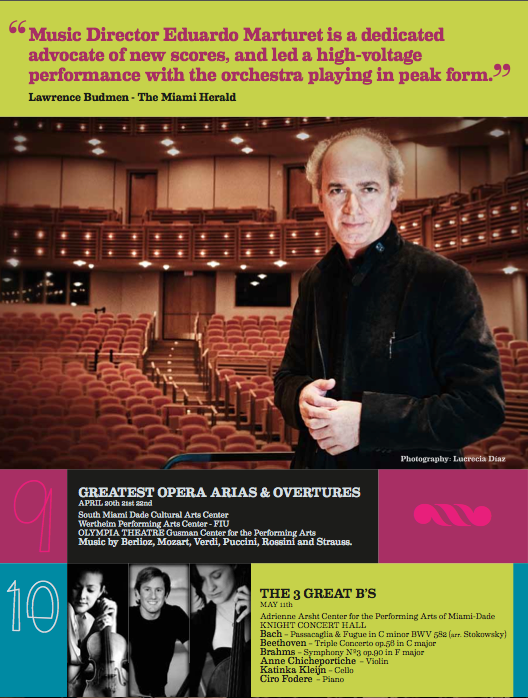 It’s central to the Miami Symphony’s operational strategy, he said, which spreads out the responsibilities involved in mounting concerts. “It’s a model for the symphony orchestra which doesn’t happen to exist in the United States or anywhere else,” Marturet said. “And I think it’s very much needed in these new times, when the orchestra, in my view, has to be revived. The Venezuelan-born Marturet, whose current contract runs through 2017, said he’s trying to look ahead to the future for a sustainable labor-management model. “The orchestra ultimately belongs to the community,” he said. “But the people who play a role in the organization are the musicians, and I think that role is not yet given enough power. It’s nothing against the power of the conductor, mind you. I think it’s extremely important to have the stardom system. The stardom system will prevail. “But you need to have other kinds of stardom,” Marturet said. In the coming season, Marturet is backing up that idea by handing over the conductor’s duties for one concert to concertmaster Daniel Andai, which the conductor said was his idea, not the violinist’s. Marturet thought Andai’s work as a coach during string sectionals marked him as someone with conductorial ability. 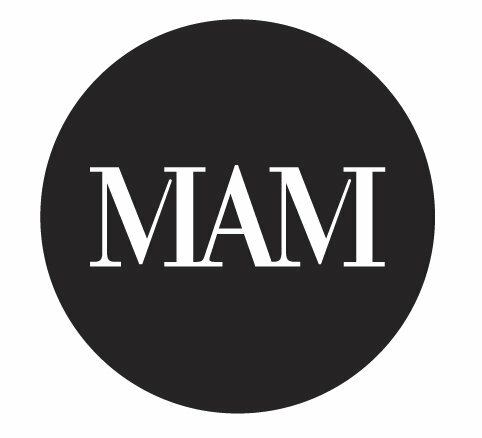 “He is an example of a true artist, and someone we have to support,” Marturet said. Andai will lead the Miami Symphony in concerts March 11 at Gusman Hall and March 12 at the new South Miami-Dade Cultural Center in Cutler Bay, which opens in October. The program includes the world premiere of a guitar concerto by Miami Symphony Orchestra composer-in-residence Alexander Berti. The soloist will be Spanish flamenco specialist Juan Diego. 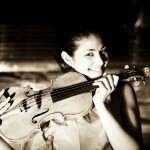 Marturet said Andai’s wife, French violinist Anne Chicheportiche, is another example of the empowerment principle in that she is in charge of the orchestra’s chamber music program. She’ll be featured along with Chicago Symphony cellist Katinka Kleijn and pianist Ciro Fodere in a 3 B’s — Bach, Beethoven, Brahms — concert May 11 in the Knight Concert Hall. Whether or not horizontal empowerment enables Marturet to build an even better orchestra remains to be seen, but surely this idea fits in with the global climate for workplace democracy. The Orpheus Chamber Orchestra, for example, which famously works without a conductor, is designed around teams of musicians deciding how the pieces will be played. Music, like all the arts, draws very passionate people who believe strongly in what they’re doing and in the value of the art they’re presenting. All of us who’ve played music before in an ensemble can recall many a time when the group performance of a passage here or there just doesn’t work for you. What Marturet is trying to do here is make sure he has a happy office environment, and while he may not bring out the Segways and foosball tables a la a cutting-edge tech company, he’s certainly in harmony with the times by trying to allow as many voices as he can to be heard. Date: August 22, 2011 Author: jenn Comments Off on musimelange returns to DC! ♦ In a suburban house in Bethesda, MD musimelange shared its appreciation for a grand work by the renowned contemporary French composer Nicolas Bacri. ♦ White wine tasting was paired with the in-house chef’s famous mini crab-cakes and little cups of asparagus risotto. ♦ Guest mingled to the private salon with a cheese plate in hand while enjoying a brief lecture presenting the composer and his piece before the concert. 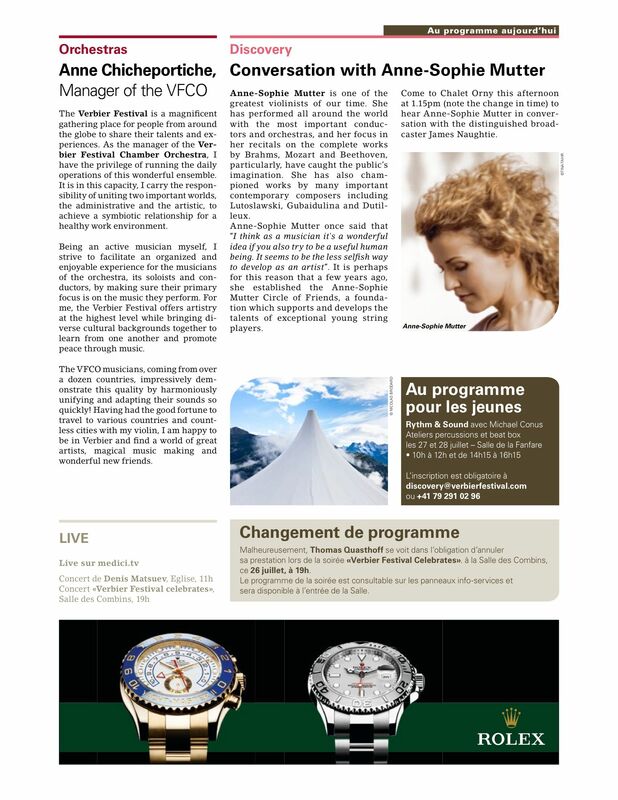 Date: August 14, 2011 Author: jenn Comments Off on musimelange was in Antibes! Using local caterers musimelange can travel to you anywhere in the world! 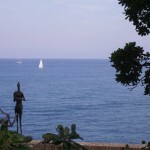 Antibes a French city of roses and art on the french riviera! ♦ On the terrasse of a beautiful villa, one could hear the cicadas singing. A refreshing tasting of Absinthe served with the typical small back olives, pissaladières & ratatouille tartines. ♦ A night in Antibes can not finish without Jazz (piano and saxophone), Rose flavored Ice Cream & Wine Rosé! Because Lekeu shared the same belief as the Belgian violinist, Eugène Ysaye (1858-1931), that music should be what “the heart suggests, and the soul expresses,” Ysaye, regarded as “the King of the Violin,” commissioned Lekeu’s two first chamber-music works: a piano quartet and a violin sonata. Lekeu’s Sonate pour piano et violon en Sol Majeur (1892) that he claimed to have cost him “infinite pain,” was premiered in 1893, and since then never left the standard repertoire of the violin in France. It is worth noting that the title mentioned the piano before the violin, certainly to emphasize the importance of the voluptuous piano part. Although the piece was composed when Lekeu was twenty-two, and considered his masterpiece, one may feel that the composer might not have had the chance to totally find his own, unique voice. The sonata is absolutely breathtaking; the narration of the two instruments might be felt as a dedication work to the greatest German composers and to the founder of the Franco-Belgian style, as well as a debut of Debussy’s impressionism. The influence of César Franck’s Sonata pour violon et piano en la majeur (1886) is very much implied. Like Franck’s sonata, Lekeu’s is written in cyclic form. One obvious mark of this idée fixe (a melody that is used in each movement to represent an obsessive image) is found when the theme of the first movement is literally quoted note-for-note in the denouement of the final movement. It is exactly what Franck did in his sonata with his third and fourth movements. But the genius of Lekeu shows his ability to continue and even surpass the path of the Franco-Belgian chamber-music founders by using an increased emphasis on an important compositional technique of his time, chromaticism. Coming from the Wagnerian school, this technique was the lifeblood of expressive music in the mid to late 19th century. When transferred to the Franckists, it became an additional means to achieve equilibrium and restraint, major attributes that have now long been esteemed in Franco-Belgian music. The chromaticism is found in the first movement of the sonata, which opens with a beautiful calm statement played by the violin, accompanied by very light and sporadic piano chords suggesting moving harmony. This part also serves as a quotation to the opening of Johannes Brahms’s G-Major violin and piano sonata Op. 78 (1878-79). In order to keep his own flavor, Lekeu brings the theme into different twists and turns from its original state with the help of chromatic harmonic changes. Before leaving the maze of this first movement, the conversation between the piano and the violin arrives at a unison agreement and a victorious climax, later leading into a regretful and moving coda. This end sets the mood for the deep and touching second movement. By choosing a 7/8 meter, the first theme is continuous, as if the atmosphere is too unbearably intense to even breathe. Lekeu shifts from Brahms-like melodies, evoking lyricism towards popular songs laced with futuristic harmonies of another world. The third movement seems more traditional with its sonata form and use of counterpoint than the themes of the first two movements, which are more spontaneous with their chromatic adventures. Not only is the violin sonata, Sonate pour violon et piano, Claude Debussy’s last work, but it is also his only work for violin. Although it is dedicated to his wife Emma, it may be acknowledged as written for Arthur Hartmann (1881-1956). Before his friendship with Hartmann started in 1908, Debussy had never considered composing for violin. After the few transcriptions of the composer’s various piano works and songs that Hartmann arranged Debussy promised the violinist to compose for him, in return, a Poème for violin and orchestra. His life ended before he could accomplish his promise. Most of his life, Debussy stayed away from traditional forms like the symphony, the concerto or sonatas. He would write music with evocative titles such as Prélude à l’après midi d’un faune. For his violin sonata, he adapted sonata concepts to his uniquely personal expressive needs. He wrote, “I am more and more convinced that music, by its very nature, is something that cannot be cast into a traditional and fixed form. It is made up of colors and rhythms. The rest is a lot of humbug invented by frigid imbeciles riding on the backs of the Masters.” Although the piece was written while he was dying, it is animated, whimsical and flamboyant.